Following on from the devastating weather that has engulfed the country recently people have been drawn into pits of depression due to deprivation of their homes and local scenery such as picturesque countryside and world renowned land marks. It has been said that recovery costs are going to increase drastically in years to come in order to recreate our beautiful country. Officials have performed multiple risk investigations across the country and have estimated that the restoration costs will soar. There has already been a large sum of £1 Billion spent throughout the last decade which has been used to cover the renewal of belongings, homes, infastructure and businesses. The wettest winter period has brutally damage the UK and has been the worst that England has experienced for 250 years, causing an annual loss of €4.5 Billion across the European Union however, it is feared that this isnt the last of the freak weather and studies have found that the loss may well rise to €23 billion each year coming upto 2050. It was revealed that projects in the flood stricken areas such as the Thames Valley had not been built, this had come to light during February. Since the Coalition Government took over in 2010 they have made the decision to cut annual flood defences. The research undertaken is hugely individual in two aspects, first off it accounts for large areas that have been affected by the disasterous weather events for example, the record beating wettest winter that raised problems for numerous places such as various areas in Germany, The Netherland and Northern France, not just areas in England. Research on various river systems where analysed regarding how the weather would affect each individual structure however, this approach largely underestimated the damage that could occur due to events like this that only happen every so often. Secondly, this is the very first investigation process to record for the definite levels of flood defence on each specific river instead of estimating averages. Leading on from this Mr Jongman openly stated that distributing money towards the refurbishment of flood barriers is frequently increased in reaction to disasters; “It mainly happens after big flood events, that is the main driver.” The amount of money spent on flood defences in the UK rose dramatically after a review of the 2007 floods however, this was quickly reversed courtesy of the Coalition Government. 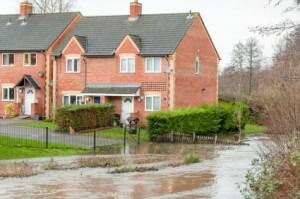 Is the government providing enough stability to prevent further flood damage in the future?